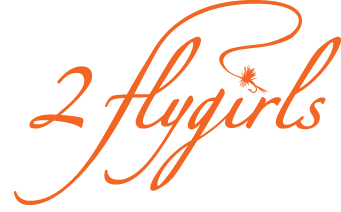 H: July 16, 2011: As an early Christmas gift (for myself, from my sisters who never know what to get me :) I was thinking of buying a beautiful, one-of-a kind, handcrafted wooden fly box made by Dave "Dutch" Schultz. I had heard he recently dropped off a new shipment the week before at Blue Ribbon Flies. There were about 8 boxes to choose from made from a variety of hardwoods: maple, cherry, walnut... Each box was unique and included a tag naming the type wood it was made from along with its price. I examined a few of the larger styles and narrowed it down to 2 very different boxes. One was a simple, all cherry, shaker style box with elegant grain. 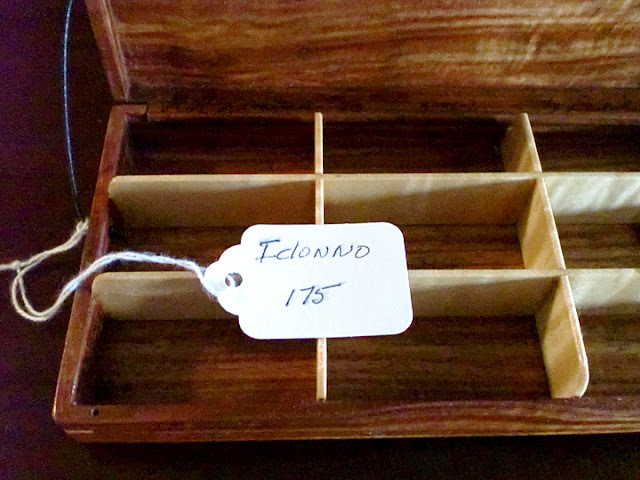 The other had an exotic, reddish-gold striated grain and the tag read "Iclonno." I asked the man behind the counter if he knew what kind of wood Iclonno was. He said he had no idea but he would google it on the store's computer. While he logged onto the computer, several guides walked in and I struck up a conversation with one of them. I mentioned I was having a hard time deciding between 2 beautiful fly boxes and asked if he had heard of Iclonno wood, showing him the box. He looked at the box and the tag and chuckled. Apparently, he had been present when Dutch brought the boxes in. What I thought was "Iclonno" was actually "I dunno." Dutch didn't know what type of wood it was. He thought it was some type of African hardwood. We all laughed and it was such a great story, I made up my mind to buy the box. Dutch's fly boxes are beautiful works of arts. Not for river use but perfect for storing and displaying some special flies. If you buy one, make sure it's attached to something on your person. I have a habit of loseing quality fly boxes. Funny but i never lose a cheap one?